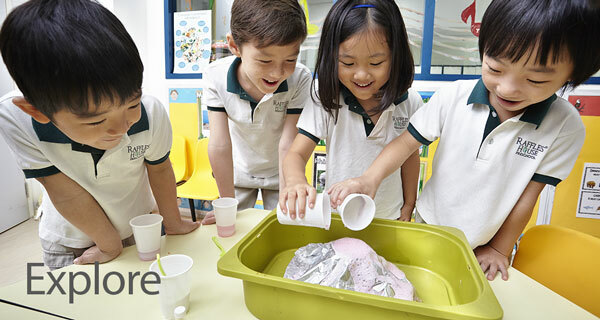 Raffles House Preschool is an independent school that serves both the international and local community, for children aged between 18 months to 6 years old. 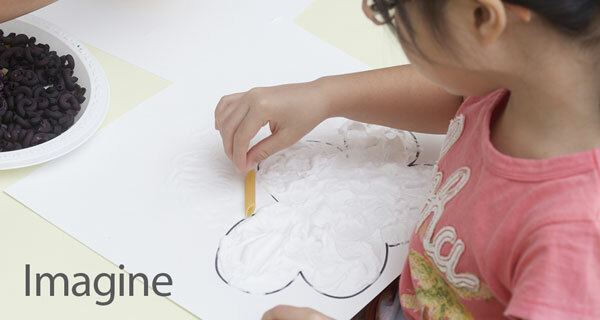 In Raffles House, we aim to develop the whole child. We recognize the unlimited potential and uniqueness of each child. Our educators are early childhood teachers who are caring, dedicated and trained in the fields of literacy, numeracy, arts and social skills. We are committed to bring forth the best in every child. We aim to instill in each child a passion for life-long learning, a solid foundation for academic and character excellence, and a zest for challenges in life. Nestled in a quiet and green neighbourhood with a beautiful play garden, we are excited to announce the opening of our new school at 9 Goldhill Avenue 309007. Japanese language lessons by native Japanese teachers available @ Goldhill and @ Robin Close. I would like to commend Hai Ying Lao Shi because I think she was really working hard with the kids just now. I observed that she had to run to this child to help her fly the kite, run over to another group to untangle the strings and run to another place to encourage another child to launch her kite. In spite of all these running around, she remained friendly with me when I spoke with her. Quite admirable and impressive. Ashley is a pioneer student. She started in K1 and class size was only about 4 or 5 kids. Though class size was small, we liked it because the teachers could then focus on each child. The teachers never stressed the kids with mountain loads of school work, instead let them learn through fun and play. Ashely enjoyed school and always came back home with stories of the happenings in school. Through encouragement and positive coaching, Ashley has also progressed much in Chinese language. A special note of thanks to her teacher for helping to build Ashley's confidence - from Ashley's initial refusal to speak in graduation concert to finally delivering the speech, I know her teacher had spent a lot of time and efforts to help Ashley. Thank you to all teachers and staff - we didn't make a wrong decision to switch Ashley to your school. Recently I found Selina talks much, sings much, no matter English, Chinese or Mathematics, such as pronounce every letters, try to pronounce the word she read from book or signboard, show us the Chinese words she learned and counting addition... I want to say thanks to you and your effort. We could feel that Selina is very happy and enjoys her learning journey in Raffles House. We like the songs she always sings when she is by herself, we like the verses she shared to us, we like her prayers and we like that she is progressing. Thanks so much. I would like to compliment Raffles House for a great curriculum and its passionate principal and daughter's class teacher in charge. My 2yo has a very young teacher, Ms Clare. I applaud the school for bringing in young teachers. Ms Clare had a natural flare with children yet at the same time firm with them. My daughter used to miss Chinese lessons and walked around the school because she didn't like it but her teacher stopped that and was firm with her, now my daughter is able to sing many Chinese songs. Apart from that Jodea's teacher keeps in touch with every parent and as a parent I appreciate the extra effort that she puts in, reminding us or updating us on the class activities. The school curriculm also deserves praise. 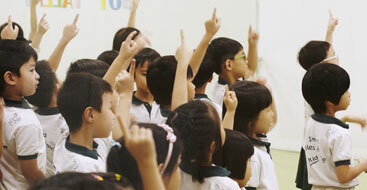 The curriculum is very creative and draws out the interest of the children. The children are very happy to attend school. I am happy to see my daughter love school and is always happy and singing. The school and teaching staff deserves some recognition for a job well done. In this time and age with parental pressures, the school is standing strong. We know that Sebastian has been a challenging student and his development has not followed the same path as his classmates. Nevertheless, Ms Maricar has shown a rare degree of dedication and professionalism, for which we are truly grateful. We are impressed by the efforts that you have made and the patience that you have shown with Sebastian. There can be no greater sign of your success that the fact that Sebastian is still happy to go to pre-school everyday and there has never been even one instance when he has not wanted to do so. We were very impressed by the comprehensive and thoughtful progress report at the year end - you have carefully examined all aspects of his intellectual, emotional and physical development that gives us a frank account of his progress. We are also happy that you are willing to share any concerns you had with Sebastian's development. 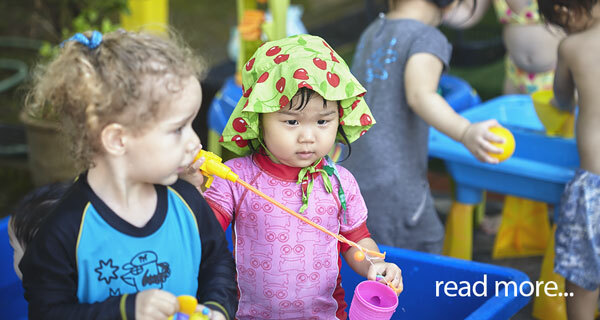 We could not be more pleased that his early education is in your hands and we hope that Sebastian is able to attend Raffles House for several years to come.